Take a moment to consider the status of your financial health. 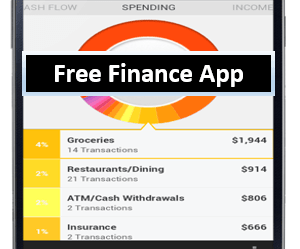 How much have you really thought about your finances? Have you reviewed them carefully enough to enlist the help of a financial advisor in Montreal or Ottawa to assist you? Or, do you remain skeptical, inclined to believe that your finances are fine or that you don’t need professional help? Quality financial advice can be an anchor that keeps you on track to meet your future goals, like retirement, buying a vacation home, or funding your child’s education. If you have even moderately complex financial needs, advice from a trusted financial advisor in Montreal and Ottawa is essential, which is why we have created this list of the best Ottawa and Montreal financial advisors in Montreal. Read on for more of the methodology behind our selection, and to see detailed reviews on the financial advisors in Ottawa and Montreal that meet our stringent criteria. When it comes to evaluating financial advisors in Ottawa and Montreal, there are typically two types of firms to consider: fee-only and fee-based advisors. 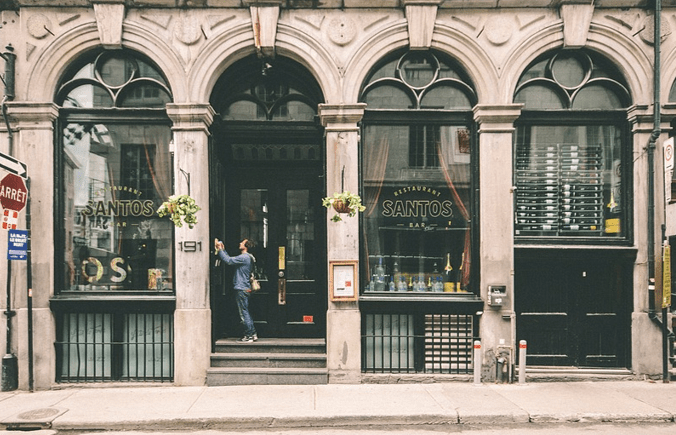 How do you know which type of Montreal financial advisor is right for you? Below, we’ll provide you with a brief overview of everything you need to know about the differences between fee-based and fee-only financial advisors in Montreal and Ottawa. When an investment firm or a financial advisor in Montreal says that they are “fee-only,” this means that they do not accept commissions or third-party referral payments. In short, a fee-only financial planner in Ottawa or Montreal is in a better position to act solely in the interest of their clients. As a fiduciary, a financial advisor in Ottawa or Montreal is legally responsible to fully disclose any conflicts of interest and are required to put the interests of their clients ahead of their own, regardless of their pricing structure. 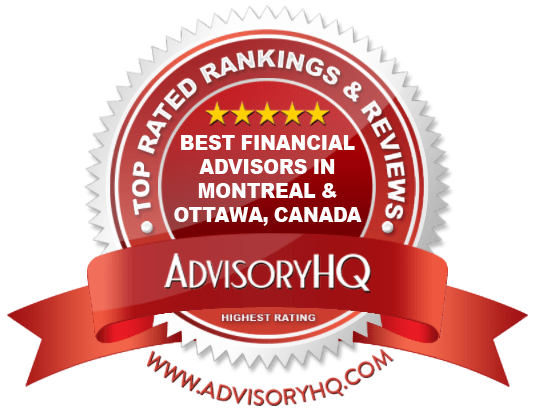 Below, please find the detailed review of each firm on our list of the best Ottawa and Montreal financial advisors. We have highlighted some of the factors that allowed these wealth management firms in Montreal and Ottawa to score so high in our selection ranking. CNal Financial Planning is a financial advisor in Montreal with over 25 years of experience handling complex and dynamic financial situations. 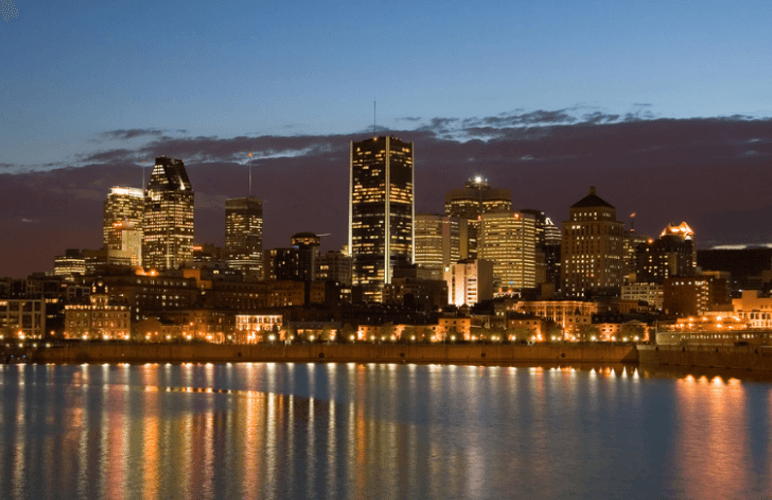 They provide the traditional services common to most financial advisors in Montreal and elsewhere like financial planning, tax planning, and retirement planning. 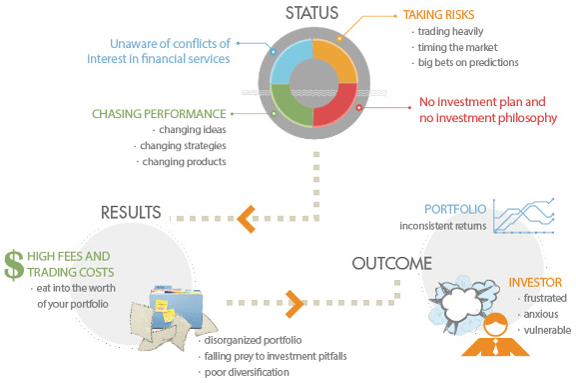 In addition, they offer customized solutions to unique wealth management scenarios. CNal Financial Planning is a fee-only Montreal financial planner. A financial advisor in Montreal can go a long way towards helping an individual or family make their money go the extra mile. Proactive financial planning combined with strategic investments can safeguard a fortune and ensure there is a livable amount of money that can be comfortable spent. What’s the point of working so hard when you’re young if you can’t take it easy once you’re old? Not preparing for your older years can mean delaying your retirement and needing to work to support yourself. While the team of Montreal financial planners at CNal Financial Planning may be smaller than that of competing firms, this boutique structure allows for one-on-one attention and customized planning that many larger firms struggle to provide. 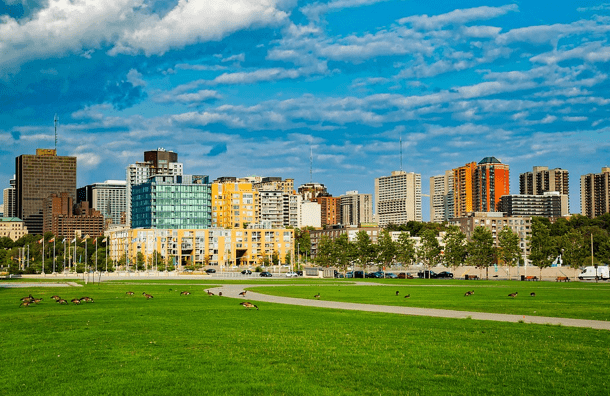 With a highly credentialed team of Montreal financial advisors, a wide range of services, and a fee-only structure, CNal Financial Planning is one of the best financial advisors in Montreal to consider partnering with this year. Dorchester Wealth Management does not explicitly say whether they use a fee-only or fee-based structure; however, we have included them on our list of the best wealth management firms in Montreal due to the services they provide. As always, we recommend verifying compensation structures before partnering with any financial advisor in Montreal. To support long-term client relationships, this Montreal wealth management firm won’t attempt to time the market with your money. This means that while you may not “win big” with a huge windfall, you experience significantly less volatility and greater preserved gains in the over the long term. Likewise, Dorchester resists the urge to make wholesale changes to your portfolio in order to capitalize on seemingly favorable market conditions. These Montreal financial advisors will diversify your assets with the goal of producing the greatest long-term gains. 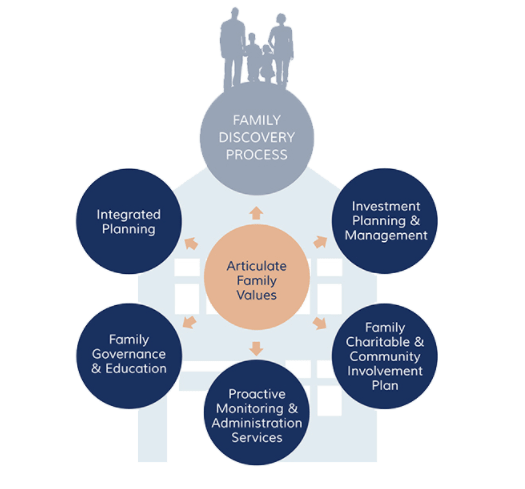 That Dorchester has been successful in this regard can be seen in the amount of multi-generational clients it has kept on its roster – not to mention its high rate of client retention and personal referrals that it receives. Furthermore, your Montreal financial advisor is more than willing to work with your personal team of consultants and advisors. This goes a long way to coordinating your plan for the long term and improving the odds for reaching all your financial goals on time. Dorchester boasts a low client-to-advisor ratio, a feat it achieves by employing only 9 team members. Combined, this team has over 300 years of experience in successful wealth management. Not only that, but this Montreal wealth management firm has been certified with an array of professional designations, bringing a greater level of expertise and training into wealth management. As an independent Montreal wealth management firm, Dorchester Wealth Management does not assume the role of a broker and provides investment advice that is objective and untainted from outside interests or potential conflict. For clients, this commitment to objectivity is a significant advantage, ensuring that all investment advice is truly made in their best interests. With a long history of excellence, a focus on long-term relationships, and a highly experienced team of Montreal financial advisors, Dorchester Wealth Management is one of the best financial advisors in Montreal to consider partnering with this year. Exponent Investment Management, Inc. is a financial advisor in Ottawa that serves professionals, retirees, families, executives, entrepreneurs, endowments, and foundations. This Ottawa wealth management firm does not explicitly say whether they are fee-only or fee-based. That said, their website explains that they charge a fixed percentage based on a percentage of the client’s portfolio, with no products to sell and no commissions, meaning that they likely operate on a fee-only basis. As always, we recommend verifying compensation structure before partnering with any financial advisor in Ottawa. One of the things we liked about Exponent is its commitment to transparency. At any time, clients can access their account online and review the progress of their portfolio. In addition to keeping the firm accountable, this approach allows for more effective and streamlined communication. Clients and advisors can begin phone calls, teleconferences, or in-person meetings on the same page, which avoids confusion and the potential for obfuscation on the part of this Ottawa financial advisory firm. Lastly, Exponent supports trust within the client-advisor relationship by taking on a fiduciary commitment, meaning that these financial advisors in Ottawa are legally and ethically obligated to seek out your best interests. 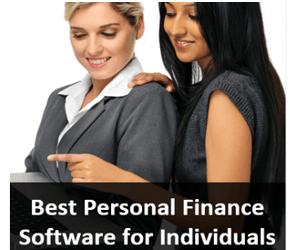 As such, they provide unbiased, objective advice designed to help you reach your financial goals. A firm with a wide variety of professional certifications demonstrates a strong commitment to ensuring that your team of financial planners in Ottawa consists of the best professionals in the industry. In addition, these designations often require updating and continuing education, which means that your Exponent advisor remains abreast of all industry developments, including trends, changes in laws, and best practices. As a top financial advisor in Ottawa, Exponent Investment Management provides clients with over a century of collective industry experience, a wide range of industry designations, and a commitment to maintaining transparency and trust. Although Exponent is a competitive option among Ottawa financial advisors, our review did find room for improvement when it comes to how the firm communicates their capabilities, specifically for financial planning. Without specific information regarding the types of financial planning challenges the firm can address—like budgeting or retirement planning—potential clients may find it challenging to fully evaluate the firm. By adding details about the full scope of their services, Exponent Investment Management could easily improve both their value proposition to clients and their rating as a top financial advisor in Ottawa. Jarislowsky Fraser is a global investment management firm in Montreal that combines high-quality investments with rigorous research. As a top Montreal wealth management firm, Jarislowsky Fraser is responsible for managing the portfolios for pension funds, endowments, corporations, and individuals around the world. Jarislowsky Fraser does not say whether it is fee-only or fee-based. We have included them on our list for the range of services they provide, but as, always we recommend inquiring about the fee structure before beginning a working relationship. It is also important to note that this Montreal wealth management firm offers its own line of mutual funds. This is not a bad thing, but it does mean you should be mindful about what products are recommended and demand thorough explanations for why they are the best product for you. Jarislowsky Fraser has a long history of helping institutional clients manage and protect their assets. Since 1955, his Montreal financial planner has helped grow the wealth of institutional clients both at home and abroad. At present, the team of Montreal financial advisors at Jarislowsky Fraser manages assets for more than 500 pension funds, universities, foundations and endowments, and unions and governments. Altogether, Jarislowsky Fraser maintains approximately $27 billion in institutional assets under management. This Montreal wealth management firm does not wait to hear what’s good from an external source. They have an in-house research team that conducts extensive analysis on all investments before they are chosen or recommended to a client. They also ensure they are consistent in meeting their firm’s standard with the assistance of their central investment oversight body, the Investment Strategy Committee (ISC). The Montreal financial advisors at Jarislowsky Fraser are part of a collaborative culture that allows them to work together to provide the best possible advice for their clients. 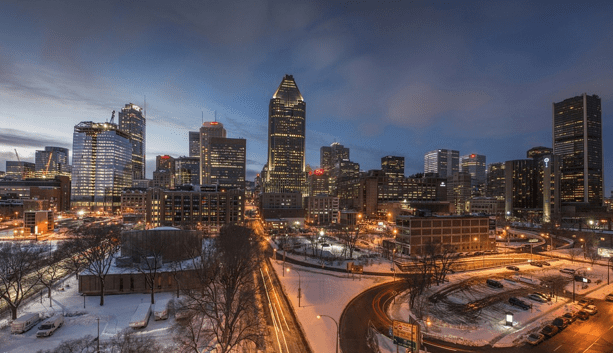 As one of the top investment firms in Montreal, Jarislowsky Fraser maintains a team of research analysts and portfolio managers as partners with the ISC, providing a truly team-based and collaborative approach to investment management. For clients that want an experienced, disciplined, and skilled investment management firm to handle their portfolio, Jarislowsky Fraser is a great fit, particularly for institutional clients. This Montreal wealth management firm boasts a large, well-credentialed team, ensuring that clients benefit from the collective efforts of multiple investment experts, earning Jarislowsky Fraser recognition as one of the top investment firms in Montreal. Kerr Financial Group is an independent wealth manager in Montreal that began as a family office in 1979. This firm’s goal is to help individuals take a more business-like approach to their finances, both in terms of strategy and seriousness. Kerr Financial is a boutique, fee-only financial advisor in Montreal. The Montreal financial advisors at Kerr handle your money with the most up-to-date knowledge of the industry. This is seen through their various professional designations and the ongoing education required to maintain them. When you work with Kerr, you’re working with a Montreal wealth management firm that is dedicated to helping you achieve long-term success. 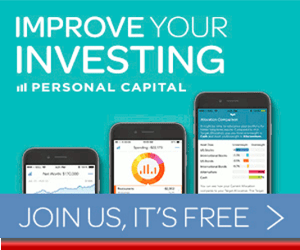 It wants to grow your wealth and preserve your capital, a process that takes time and patience to achieve. By advising you on every facet of wealth management as your Family Office, this financial advisor in Montreal aims to form a lifelong relationship that transcends generations and allows your family to prosper. As an independent, fee-only financial advisor in Montreal, Kerr Financial Group offers the ideal financial planning relationship. Clients can trust that all advice is truly unbiased and given in their best interest, supporting transparency and trust within the client-advisor relationship. With a highly qualified team, a wide range of services, and a client-centric structure, Kerr Financial Group is one of the best Montreal wealth management firms to consider partnering with this year. Polaris Wealth is a financial planner in Ottawa. 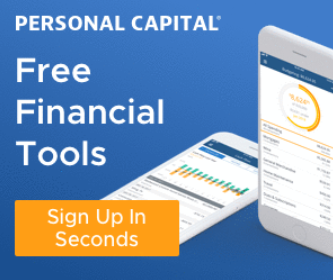 The firm is a division of Polaris Financial, a network of independent financial advisors that offer evidence-based investment advice to clients. The Ottawa financial advisors at Polaris are free to take on clients as they choose and have the freedom to set their own account minimums. In this way, Polaris gives their advisors more freedom to oversee their respective accounts than most other firms. Moreover, Polaris advisors utilize the collective expertise of the entire advisory staff. If your Ottawa financial advisor runs into a problem – be it an underperforming asset, acute market volatility or other unforeseen issue –they work on the problem with other advisors. This gives you a greater sense of security knowing potential problems will be dealt with thoroughly and by several qualified financial experts. Polaris’s Ottawa financial advisors bring several industry-recognized designations to the table when crafting your wealth management solutions. 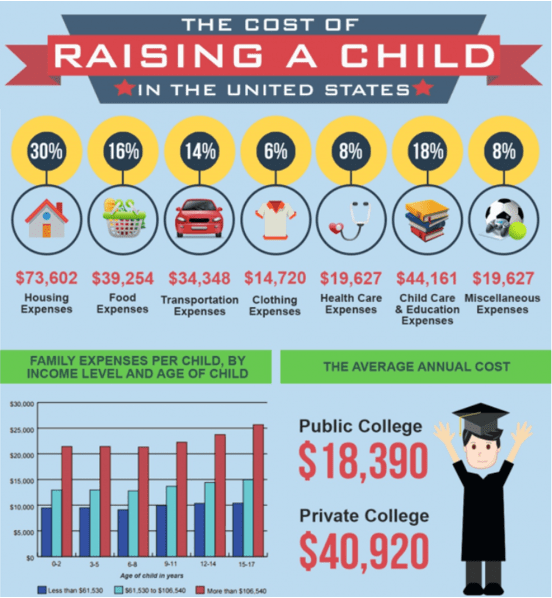 These designations allow them to stay current on financial minutia of concern to you, thereby allowing you to save the most money and build a better future. As an independent firm with a fiduciary commitment, Polaris Wealth provides clients with the automatic benefits of transparency and trust, two key elements in any financial planning relationship. While the firm excels at providing access to a team of highly experienced advisors, it’s worth noting that little information is available regarding their specific services, particularly where financial planning is concerned. This lack of information can make it challenging for new clients to evaluate the full capabilities of their Ottawa financial advisor before signing up for a financial plan. By elaborating on specific financial planning capabilities, Polaris Wealth could easily improve both their value proposition to new clients and their rating as a top financial advisor in Ottawa. Having served the Ottawa area for over 30 years, Potvin Financial Services provides clients with a wide range of financial advice, investment management, and insurance planning services. Potvin Financial Services does not specify whether they are a fee-only or fee-based Ottawa financial advisor, although the firm does provide a detailed breakdown of their fee options. As always, we strongly recommend verifying compensation structure before partnering with any financial advisor in Ottawa. For many clients, finding the best Ottawa wealth management firm often means finding a firm that can grow with them as their financial needs change over time. Financial advisors do not often receive online reviews from their clients, which makes Potvin Financial Services stand out among competing financial advisors in Ottawa. After investing with chartered banks, investing with Potvin Financial Services was a game changer. Not only do they exceed our financial expectations but they provide a welcoming, unrushed environment where you never feel like you are asking a “stupid question.” Three generations of our family have experienced the Potvin client focused approach. As a top financial advisor in Ottawa, Potvin Financial Services provides clients with a wide range of financial capabilities and a client-centric commitment, creating a strong foundation for long-term relationships. Backed by positive reviews from past and present clients, Potvin Financial Services is a great financial planner in Ottawa to consider partnering with this year. Ryan Lamontagne, Inc. is a financial advisor in Ottawa that was founded in 1994. This Ottawa wealth management firm works with business owners, professionals, and retirees to come up with comprehensive financial planning and asset management solutions to meet their goals. While the firm calls itself fee-based, their compensation structure and their reference to the “fee-only” advantage demonstrates to us that they are likely a fee-only Ottawa financial advisory firm. As always, we recommend verifying fee structure before partnering with any financial advisor in Ottawa. As a top financial advisor in Ottawa, Ryan Lamontagne, Inc. provides clients with access to an impressively wide range of financial services and capabilities. The firm has specialists from all areas related to your financial planning, providing clients with a one-stop shop for all of their Ottawa wealth management needs. While a small firm, compared to many of the other financial advisors on our list, Ryan Lamontagne, Inc. nevertheless has proven itself committed to staying abreast of developments within the financial services industry. One way it has done this is by assembling a staff with leading industry designations. These designations hone each Ottawa financial advisor’s level of expertise, guaranteeing that they are providing the best service to you. Not only that, but many of these designations require ongoing education to maintain. As a result, your Lamontagne advisor serves you better by staying well-trained and well-educated year after year. As a top financial advisor in Ottawa, Ryan Lamontagne, Inc. provides clients with a deep range of industry expertise to confidently address a range of financial challenges, laying a solid foundation for a long-term financial planning relationship. With an impressive range of services, a highly credentialed team, and a personalized approach to investment management, Ryan Lamontagne, Inc. is one of the best financial advisors in Ottawa to consider partnering with this year. Tulett, Matthews & Associates (TMA) is a Montreal financial advisor located in the suburb of Kirkland, serving primarily white-collar professionals, retirees or pre-retirees and their families, and entrepreneurs or emerging affluent individuals. Tulett, Matthews & Associates does not clearly state on their website whether they are fee-only or fee-based; however, they do state that they are “compensated 100% by the clients [they] serve,” which means they are likely fee-only. As always, we advise readers to verify a firm compensation structure before starting a working relationship. The financial industry is often flooded with advisors who elevate their own bottom line instead of focusing on the goals of the client. When this happens, you wind up paying more money in fees, commissions, and unnecessary products or services, to name a few. Add to that the increased possibility that your investments aren’t calibrated to your needs, and you can lose quite a bit of time and money when all is said and done. This is why we prefer to recommend Ottawa and Montreal financial advisors that hold themselves to a fiduciary standard. This includes TMA, a firm legally obliged to providing only unbiased financial advice. Furthermore, TMA is a completely independent financial planner in Montreal. It is not aligned with any outside organization or beholden to third-party interests. TMA’s services are designed to align with your best interests. The Montreal financial advisors at TMA boast a number of professional designations. Many of these require recertification through continuing education, thus ensuring that the designee’s advice remains qualified and relevant. As a top financial advisor in Montreal, Tulett, Matthews & Associates demonstrates a strong client-centric value proposition, highlighted by their commitment to the fiduciary standard. With a highly talented team of financial professionals, a fierce commitment to independence, and a focus on creating long-term partnerships, Tulett, Matthews & Associates is one of the best Montreal wealth management firms to consider partnering with this year. As the Nortel pension debacle clearly demonstrates, nothing is guaranteed. Your job and its pension could be lost in a series of unfortunate events. You want to protect your finances as much as possible. 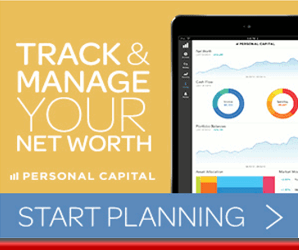 You want a financial roadmap that accounts for all of your needs and goals. You don’t want to leave anything to chance. You want to see your dreams become a reality. 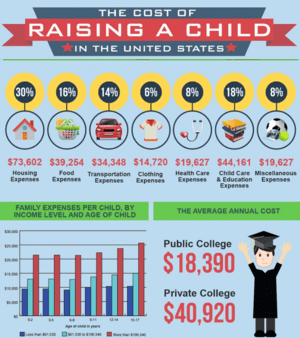 And, perhaps most importantly, you want a safety net for your children and, hopefully, their children, too. Your biggest aim is to support and secure your family for multiple generations to come, long after your wealth has been transferred. You owe it to yourself—and to your family—to review our list of financial advisors in Ottawa and Montreal. You’ll undoubtedly come away with a better understanding of what makes a trustworthy, unbiased advisor—and that information will serve you well as you get started on your path to financial freedom.